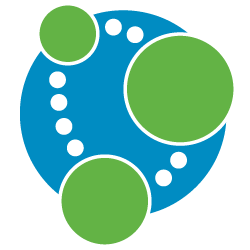 Neo4j Tutorial provides basic and advanced concepts of Neo4j. Our Neo4j Tutorial is designed for beginners and professionals both. Neo4j is a NoSQL database. It is highly scalable and schema-free. It's world most popular graph database management system. Neo4j was developed by Neo technology and called an ACID-compliant transactional database with native graph storage and processing. Our Neo4j Tutorial includes all topics of Neo4j such as neo4j features, neo4j installation, advanatages of neo4j, install of neo4j, fuctions and datatypes, what is graphdb, graphdb vs rdbms, graphdb vs nosql, data modeling, neo4j CQL, nodes, create index, drop index, create constraints, delete constraints, delete relationship, read clauses, write clauses etc. Neo4j is implemented in Java language and it can be accessed by other language using Cypher Query Language (CQL) through a transactional HTTP endpoint. Neo4j is a way faster than traditional databases. In November 2016 Neo4j successfully secured $36M in Series D Funding led by Greenbridge Partners Ltd.
Neo4j stores and displays data in the form of graph. In Neo4j, data is represented by nodes and relationships between those nodes. Neo4j databases (as with any graph database) are a lot different to relational databases such as MS Access, SQL Server, MySQL, etc. Relational databases use tables, rows, and columns to store data. They also present data in a tabular fashion. Neo4j doesn't use tables, rows, or columns to store or present data. Neo4j is best for storing data that has many interconnecting relationships that's why graph databases like Neo4j has an advantage and much better at dealing with relational data than relational databases are. The graph model doesn't usually require a predefined schema. So there is no need to create the database structure before you load the data (like you do in a relational database). In Neo4j, the data is the structure. Neo4j is a "schema-optional" DBMS. In Neo4j, no need to set up primary key/foreign key constraints to predetermine which fields can have a relationship, and to which data. You just have to define the relationships between the nodes you need. Before learning Neo4j, you must have the basic knowledge of Sql, MySql and NoSql Database. Our Neo4j Tutorial is designed to help beginners and professionals. We assure that you will not find any problem in this Neo4j tutorial. But if there is any mistake, please post the problem in contact form.